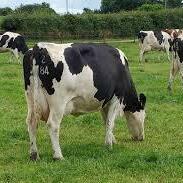 On this week's show we focus on udder health. Don Crowley, mastitis expert and dairy advisor based at Teagasc Clonakilty, talks through the common strains of mastitis identified in Ireland and the declining trend of somatic cell count (SCC) in the national dairy herd. According to Don, good milking procedure will contribute to lower SCC in early lactation. Furthermore, research has shown elevated somatic cell count leads to lower profitability, resulting from lower milk production, higher culling rates and veterinary treatment costs.